D-Link debuts the Cloud Router 5700 (DIR-865L), a 802.11ac router that promises to deliver up to 1750Mbps of wireless performance. Delivering gigabit wireless speeds, higher capacity and broader coverage for home networks, D-Link today announced its first 802.11ac router – the Cloud Router 5700 (DIR-865L) – is now available. The Cloud Router 5700 offers superior dual-band wireless performance of up to 1750Mbps for today’s high-bandwidth gaming and HD streaming applications, and features D-Link’s industry-leading Cloud App, allowing consumers to monitor and control the home network remotely. The Cloud Router 5700 provides users with easy access to manage and stream local content from a connected USB drive to mobile devices via D-Link’s SharePort™ mobile app. Equipped with Broadcom’s 5G WiFi (802.11ac) chip, the Cloud Router 5700 delivers the world’s fastest wireless speeds at up to 1750 Mbps (1300 ac + 450 n) – three times faster than the fastest Wireless N technology. Easy to set-up and delivering faster speeds and greater coverage, the Cloud Router 5700 is ideal for wireless HD video streaming and multi-person online gaming. Using the 5GHz band, the Cloud Router 5700 allows for less interference and a cleaner connection. In addition, the Cloud Router 5700 provides future proof with support of the IPv6 standard and is backwards compatible with previous generation 802.11n wireless standards, ensuring that current products and networks do not become obsolete. 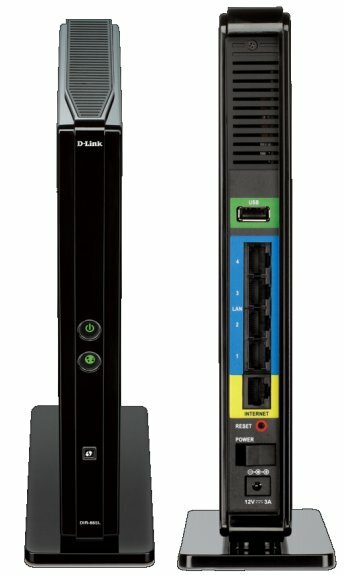 The Cloud Router 5700 (DIR-865L) is now available with a retail price of $189.99 at Amazon.com and Newegg.com.